Adobe’s latest update to Camera Raw 9 (ACR) brought two eye catching features to the RAW conversion engine in Lightroom and Photoshop. Specifically, the ability to merge images into HDR and panoramic images from within ACR itself, while still within the RAW structure. 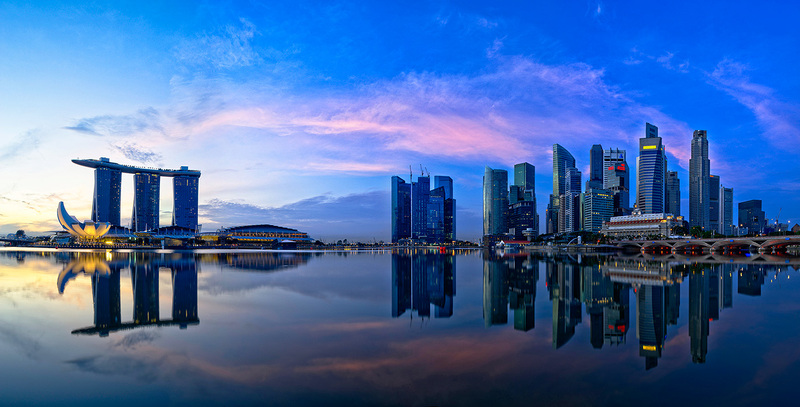 The above image is an example of both; it is a panorama made out of several stitched HDR shots (although it was created outside the Adobe ecosystem). This introduction brought both those tools into the consciousness of Lightroom users, who up until this point did not have access to either from within Adobe’s cataloguing software. Cue a raft of people trying both features out for the first time – and HDR in particular is one of those tools within a photographer’s toolbox that needs some experience to get right. Yet there are things that even experienced photographer’s frequently get confused about when it comes to HDR. High Dynamic Range imaging involves combining several bracketed sequences to expand the dynamic range that is captured by the camera. Modern cameras are getting better all the time at capturing increasing amounts of dynamic range, but scenes of a greater difference in brightness between highlights and shadows – than even a modern camera can capture – still exist. Unfortunately in the current photographic community, HDR has developed a bit of a bad reputation. When some contemporary photographers think of HDR now, they think of garish, nuclear colours; of horrible halos, and grunge effects gone wrong. Yet strictly speaking, this isn’t the fault of HDR, but one of the by processes of HDR; it is poor tone mapping that is to blame for these faux pas. Neither of these images is a HDR image. They are both different edits of the same, single, standard dynamic range image. The one on the left has been put through a very heavy, injudicious application of tone mapping, while the one on the right has been processed normally. The image on the left looks pretty terrible; but it isn’t the result of HDR, despite looking stereotypically HDR. At its core, HDR is a benign process. You can roughly equate it to stitching images into a panorama. Stitching allows you to capture a wider field of view than you would be able to capture with your lens, and similarly HDR allows you to capture a wider dynamic range than you would be able to capture in a single exposure. The difficulties come when trying to display this greater dynamic range. Most computers are only capable of displaying 8 bits of colour data per channel, and the same is true of most printers. Yet HDR typically contains 16 bits of information per channel. There’s not a lot of point to all the extra dynamic range if you cannot display it or view it. So what has to happen is a compression of the 16 bits of information you get in a HDR file, into an 8 bit canvas. And this is where it gets tricky. Doing this linearly leads to very flat images that lack contrast (because what you’ve done is taken a very high contrast scene and flattened it down). So in comes tone mapping. As its name implies, tone mapping attempts to remap tones within the image. This is done to compress the wide range of tones overall, but also selectively to increase local area contrast and increase the visual appearance of contrast. Without sufficient care, or restraint, it’s possible to introduce halos and colour shifts to the image. Applied well, HDR should look natural. Done carefully, you can get very good results. Indeed when a camera (or even an iPhone for example) has a built in HDR mode, the images it produces tend not to bear any of the stereotypical “HDR” flaws. 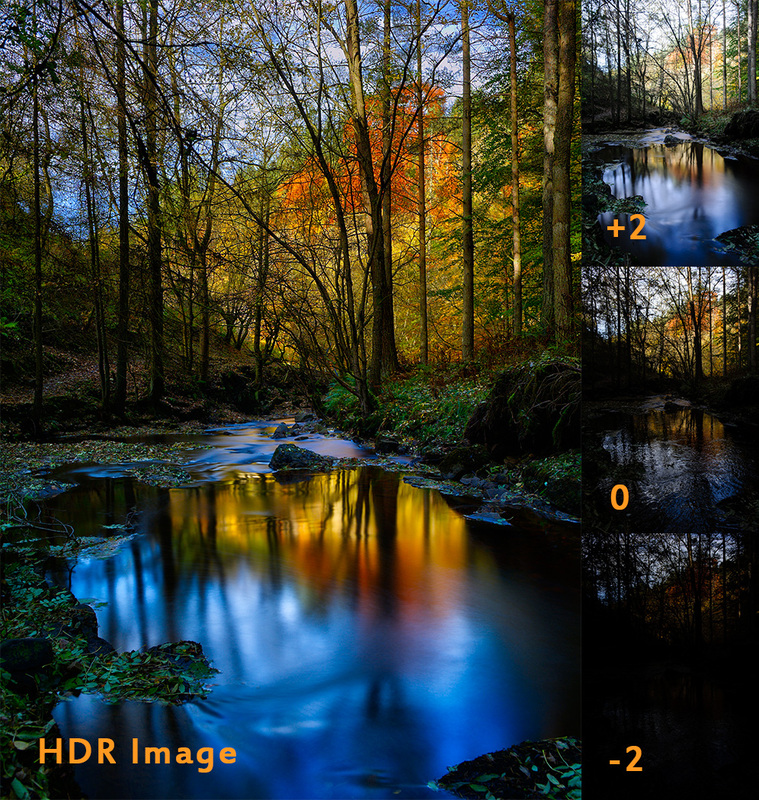 If anything, the results tend to look pretty natural – and that’s exactly what HDR should strive to be. When I contemplated the scene above, I knew that the standard dynamic range of the camera’s sensor would not be sufficient to capture the full range of brightness values within the scene. If you look at the individual images from the bracketed sequence, you will see what I mean. To the naked eye, the scene was nothing like what the camera saw. When I stood there I saw blue sky similar to the image underexposed by 2 stops, and at the same time I saw detail in the woodland area similar to how the camera recorded it with 2 stops overexposure. What I didn’t see is burnt out sky, or blocked up shadows. Combining the bracketed exposures using HDR, and careful tonemapping, allows us to a achieve a result that is pretty close to what I remember seeing at the time; indeed the biggest alteration to reality is not the HDR treatment, but the use of the 10 stop filter to smooth the water out. Strictly speaking, you cannot get HDR from a single image. Some photographers will tell you that they applied HDR to a single image. Sometimes this is a mistaken belief, when what they are actually doing is tone mapping a single image. Other photographers believe that they are utilising HDR by processing the same RAW image several times through their RAW converter, and adjusting the exposure levels each time to produce a pseudo bracketed sequence. Yet there is no magic to this – you cannot magically gain more dynamic range from your single image. Areas that are blown out will stay blown out, and areas that are blocked up into black will stay blocked up, and you have exactly the same dynamic range as when you started out. Which brings us on to another popular misconception that has gained popularity with the recent ACR update. A bracketed sequence doesn’t automatically create a HDR image. If a single image can capture all the dynamic range present in your photograph, then bracketing doesn’t give you extra dynamic range, simply because there is no more to capture. In the example above, I could tone map my bracketed sequence to produce an image I liked; I could also tone map a single image to produce a result I was happy with. 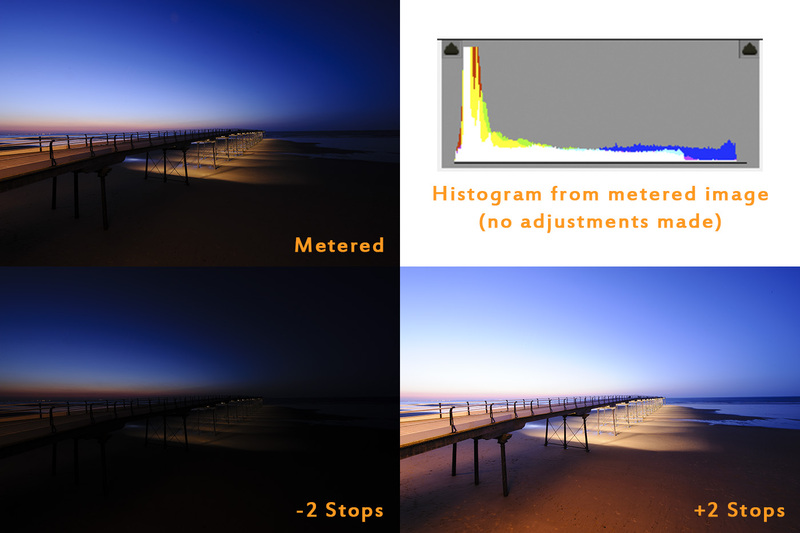 But neither result would have more dynamic range than the single metered image, because the dynamic range was fully captured by the single metered exposure. I see people bracketing a sequence on overcast days so they can go back and create a “HDR”, because they like the result, or because they want to see what this new HDR feature in Lightroom is all about. What they are actually doing is tone mapping these bracketed images, without realising that they can do the same tone mapping to a single image, as a single image already captures all the relevant dynamic range. There is no high(er) dynamic range being captured. There are sometimes reasons to prefer bracketing rather than pulling the detail from a single image (shadow noise, for example), but this again would be a result of tone mapping adjustments rather than extending dynamic range. These days with modern sensors and proper exposure, you very rarely need HDR in normal photographic conditions, even under bright sunshine. Where you do sometimes need it is in situations of great difference in light and shadow, for example in architectural situations. In these situations HDR would allow you to capture an image that is beyond the technical limitations of your camera. The merits and pitfalls of tone mapping, on the other hand, are a long and varied subject for another day!